Cardiology and vascular disease clinical trials are extremely important since as of 2007 heart disease is ranked as the number one cause of death in the U.S., England, Canada, and Wales. It accounts for approximately 25% of deaths each year. Cardiology and vascular disease clinical trials look at symptoms such as the heart not getting enough blood, irregular heartbeats and chest pains. These are often caused by common heart disorders like angina, atrial fibrillation, high blood pressure (hypertension), high cholesterol, and peripheral vascular disease. If you have been diagnosed with a vascular disease or other heart disorder you may qualify to participate in a cardiology and vascular disease clinical trial. What is Cardiology / Vascular Disease? Cardiology is a field of medicine that diagnoses and treats disorders of the heart. Vascular disease is a specific area of cardiology dealing with heart disorders that affect the blood vessels. 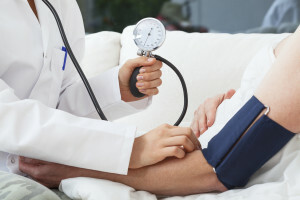 Common ailments that the field of cardiology and vascular disease deal with include angina, atrial fibrillation, high blood pressure (hypertension), high cholesterol, and peripheral vascular disease. Doctors in this field are known as cardiologists, not to be confused with cardiac surgeons. Since there are several different areas of the heart that can be affected by disease there are many cardiology and vascular disease clinical trials. Different areas that are studied include the heart muscle, the outer lining, the heart valves, and the blood vessels. Devices used to help cardiologists treat heart disorders include things like pacemakers, defibrillators and artificial hearts.